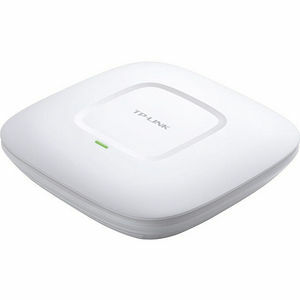 The TP-LINK's EAP120 business Access Point provides a flexible, easy-to-deploy, manageable and robust security business-class wireless network solution. Simple mounting design to easily mount to a wall or ceiling. WLAN configuration and management are simplified through clustering function or centralized management software. EAP120 also features captive portal and auto RF management, making it ideal for the high-density, intensive demanding businesses environment, include campus, hotels, malls and offices.